Next Saturday and Sunday, March 3rd and 4th, the best 27 Finnish synchronized skating teams will assemble in Helsinki Ice Rink to the winners of the season. 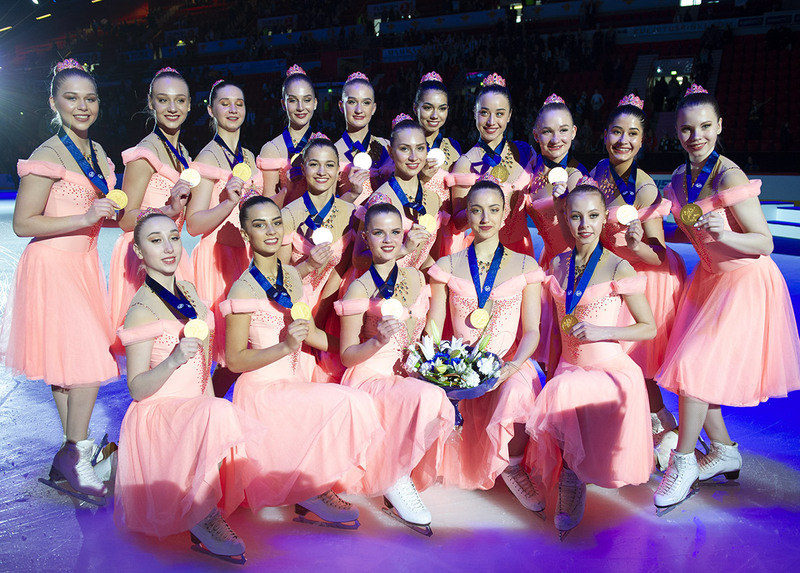 The skaters will compete in three categories: novices, juniors, and seniors. The hardest battle will be among the senior teams. There are four teams competing in this category and three of them are among the best teams of the world: Helsinki Rockettes, Marigold IceUnity and Team Unique. The newest team Lumineers has developed a lot but it still has some work to do to get to the same level. In addition to the Finnish Championship, the best Senior team will be nominated as Team Finland 1 in the World Synchronized Skating Championships in Stockholm on April 6th-7th, 2018. 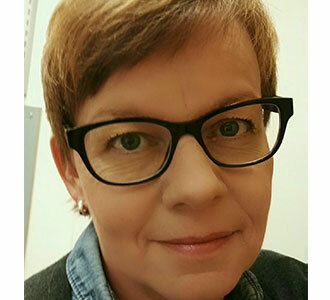 Due to a new qualification system in Finland, the other Finnish representative; Team Finland 2 will be the one, which has the best score of the season besides the winner. At the moment, Team Unique leads with 203.44 points from the French Cup which was held at the beginning of February. Paradise (RUS) won, Team Unique was placed the second, Helsinki Rockettes the third and Marigold Ice Unity (MIU) was the fourth. However, the MIUs had been the strongest in the last two Finnish qualifiers. In the Junior category, the Finnish representatives for the Junior´s World Championships were already chosen earlier this month. In the special qualification competition held between the five best junior teams, the winner was Dream Edges from Kaarina and the second one was Team Fintastic from Helsinki. These two teams will compete in Zagreb on the 16th and 17th of March, 2018. Nevertheless, the Junior competition in the Nationals will be very exciting, because all the four top teams are well-matched. Altogether, there will be eleven teams from all over Finland. Juniors and seniors will skate their short programs on Saturday and free programs on Sunday. 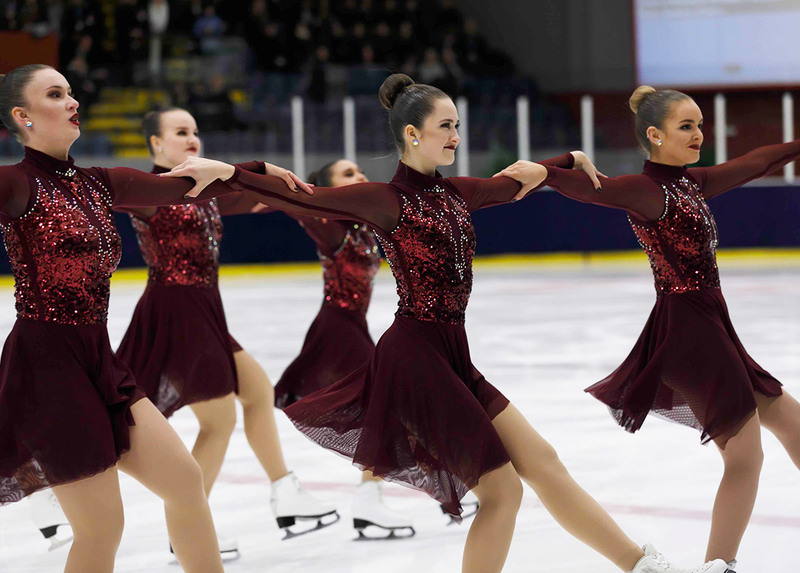 Novices skate their free program on Saturday. Twelve out of eighteen novice teams were qualified for the Nationals in two qualification competitions held in November and December last year. After the Nationals, the season is over for most of the teams. They will have a short break, but the new season will be well on its way after that. Do not miss to follow this competition this weekend on Jura Synchro!